Have you been following the furor caused by Amy Chua’s book, BATTLE HYMN OF THE TIGER MOTHER? 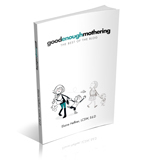 The book is basically an indictment of Western (read American) mothers, comparing them unfavorably to Chinese mothers. She attributes the impressive number of math and music prodigies the Chinese produce to their model of parenting, which includes coercive strictness, punishment and shaming. In an essay in the Wall Street Journal, (“Why Chinese Mothers are Superior”, 1/8/11) Ms. Chua says the success of Chinese mothers is due to three major differences between “Chinese and Western parental mind-sets”: first, Western parents are extremely anxious about their children’s self-esteem and worry too much about how their children will feel if they fail at something. Chinese parents demand perfect grades because they believe their children can get them – and if they don’t, it’s because they didn’t work hard enough. Second, Chinese parents believe their kids owe them everything and therefore must spend their lives repaying their parents by obeying them and making them proud. Third, Chinese parents believe they know what is best for their children and therefore override all of their children’s own desires and preferences. What is most interesting is the intense response this thesis has brought about. Comments from readers and reviewers range from condemnation to approval. Ms. Chau”s point of view seems to have touched a nerve among American parents and educators. The intensity of their reaction, both pro and con, suggests that some deeply held beliefs are being challenged. But it also suggests that American parents are worried about whether these beliefs are leading to the results they have hoped for. What is this really all about? The heart of the matter seems to be different points of view in these two different cultures about conflict between what a mother wants and what her child wants. The goal of the mother is to socialize and promote successful, independent functioning. The goal of the child is to gratify his needs and wishes. What the mother wants interferes with what the child wants, and children react in ways that often make life difficult for parents. From the description Amy Chau offers, Chinese mothers are ready to use extreme measures, including strict demands, severe punishment, shaming and humiliation, among other things, to achieve their sky-high goals and expectations. Their children’s feelings and desires are not an issue to be considered. The parent is the authority in all matters, and children are raised from the outset to defer to that authority. This is all in the service of a certain kind of success. Ms. Chua writes somewhat contemptuously of “Western” parents’ concern for children’s self-esteem, feelings, and “psyches”. These concerns reflect our values of individualism, self-expression, and the right to question authority. Yet they were not always incorporated into our child-rearing practices. Looking back on past child-rearing practices in America, we find many similarities to the Chinese model. Americans, too, once believed in parents as the authority, and used some of the same methods of enforcement. But in time these beliefs and methods gave way to new theories growing out of child development research. For example, we went from “picking up babies causes spoiling”, to “babies need to be held and comforted”; from rigid feeding schedules to demand feeding; from strict toilet training to following a child’s lead; from “children should be seen but not heard”, to “children need to express their feelings”; from “spare the rod and spoil the child”, to a focus on children’s rights. We moved from the parent as authority to the child as authority, and now, unfortunately, to the “expert” as authority. The problem for American parents is that we really want the results the Chinese mothers are getting, but without using their methods. The difficulties we experience at times with our children’s behavior may lead us to question our methods. And if our methods are wrong, maybe there is also something wrong with our beliefs. These are the questions stirred up by Amy Chau’s book. One answer may be that we have gone too far down a certain road. In moving away from practices that damaged children in one way, we have inappropriately given them the sort of control over their own upbringing that creates other kinds of problems. Chinese mothers have a culture and history that support their beliefs and methods. As American mothers we are always looking for, and open to, new ideas and methods. But these ever-changing approaches serve to undermine self-confidence and common sense. The problem lies here, not in our beliefs themselves. Parents need to re-learn being in charge. This is an attitude and a conviction – not a method. I think it is very interesting to compare different methods of parenting in different countries. This makes us understand many things. Thank you for your comment. I agree with you. Thinking about methods in other countries can help us think about our own methods and understand them better.